This item is design by TCP to be part of their LED Designer Series. 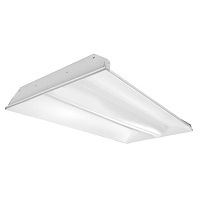 The light output is 7,000 lumens from only 72 watts. The lighting is smooth with uniform dimming and excellent color consistency. It has a long life of 50,000 hours for usage. There is a 5 year warranty and is DLC listed.